Friends and family of a man who died while struggling with Pittsburg police officers during an arrest Tuesday are alleging that the officers were out of line. "My son, my only son, and now he's gone," said Jamie Cox, the mother of Humberto Martinez. "I loved him so much." The 32-year-old man was caught on a surveillance camera pulling away from his friends' Pittsburg house, only to return 1.5 minutes later. He jumped out of his car and fled while three officers chased him. Cox accused the officers of using, what she deemed, "excessive force." "I know they killed him," she said. "They didn’t have to." Police, however, say that officers responded appropriately when faced with a dangerous situation. Martinez, who had previously been charged with false imprisonment and possessing drugs and a firearm, had served time in prison, was on probation and had an outstanding arrest warrant, they said. Sonya Serna, who was at the Pittsburg house where Tuesday's incident went down, disagreed, accusing police of "just beating him." "I'm mad. I'm angry. I'm upset. I'm scared. I'm horrified," she said. "I know what they did was wrong. They got a badge but that [doesn’t] make it right." Officers attempted to stop a vehicle around 2:30 p.m. Tuesday, but Martinez led them on a short pursuit and fled into a residence on the 4200 block of Hillview Drive. They followed him inside where a struggle ensued, during which Martinez bit an officer's hand. "He fled from our officers, overpowered them in the garage, and then was physically fighting with officers in the kitchen," Capt. Ron Raman said. At some point during the struggle, police deployed a Taser, but even that didn't seem to phase Martinez, Raman said. "The Taser did not have any effect on him," he said. The suspect was eventually handcuffed with the assistance of additional officers, but moments later he became unresponsive. Officers performed CPR, Raman said. Martinez was resuscitated and transported to a hospital, where he was pronounced dead. "We hope to have toxicology results in the next few weeks to determine were there drugs in his system or an existing medical condition," Raman said. 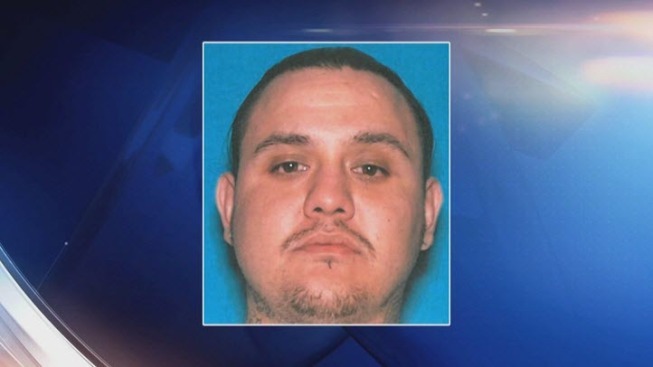 Martinez's death is also under investigation by the Contra Costa District Attorney's Office. Deputy District Attorney Barry Grove declined to comment on the details of the incident.